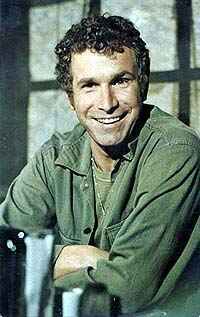 Actor best known for playing Trapper John in the first three seasons of M*A*S*H, opposite Alan Alda as Hawyeye. He later had featured roles on House Calls and Murder, She Wrote. After his acting career, he became a successful financial advisor and money manager. He testified twice before Congress opposing the repeal of banking and finance regulations enacted in the Glass–Steagal Act of 1933, which most experts agree led to the financial crisis of 2007–08.